Thank you my friend (now 2 friends) I love this place ..and i am a little bit of a wild card...Oh, btw Admin..you hooked me on dice! snawdog, this is too funny for words! Laughing for days..
Snawdog is our resident comedian and avatar finder. He found my one for me! You will se him around a lot! He doesn't know it yet but he's on the team, I just haven't made it "official" yet, just waiting for numbers to rise. Can't have everyone as mods lol. But he will be one, should he choose to accept it. 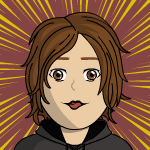 I think btc4 needs to contact me about a diva Avatar! You are gonna love it a whole lot more when you see what we have in store for you! Ha, I can't wait, really I can't... And ha! it is a damn good game, but don't gamble em all away, ming you as I've said 50% of the profits comes right back to this community anyway! So by playing you are helping yourself and all of us too! How ace is that? Lol, well I'm sure she would love you to find some for her, but she's just tryin to find her feet at the minute as she's new to all this. In fact she has just recieved her first lot of cryptocurrency today! So very exciting times for abi! She's going to help us with some PR work and get this ship a sailin! ...I gunna send you a pm soon.. Happy to be here. Referred by meeee on cryptsy. Good guy. Cheers. I'm an Engineer by trade, CryptoNutcase by night. If anyone feels like exchanging off-the-wall ideas concerning cryptocurrencies, I'm mostly ears, partly mouth. Ah, great-- Thanks for the bonus guys... Hope I can contribute and have some laughs with ya.